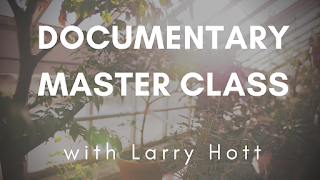 NCTV is proud to be accepting applications for a multi-week workshop in documentary production taught by veteran filmmaker Larry Hott of Florentine Films/Hott Productions. The course will be limited to six filmmakers. This is an exceptional and rare opportunity, a collaboration between a multiple national award-winning filmmaker Hott, including multiple Academy Award nominations, and a nationally accoladed community media arts organization in NCTV. And the class is entirely FREE. Participants will produce a short documentary under Hott’s supervision, using the equipment and facilities of NCTV. The workshop includes screening and critiquing a diverse variety of documentary work for style, content, point-of-view, and production values. Funding, producing, directing, editing, copyright, archives, rights, research methods, budgets, story structure, interviewing, music, distribution, and how to position a project for broadcast or foreign sales, will be covered in the class. NCTV personnel will be available for help with equipment and editing. Participants will come away with an understanding of how professional documentaries are produced, broadcast and distributed. Larry Hott has been producing documentary films since 1978, when he left the practice of law to join Florentine Films. His awards include an Emmy, two Academy Award nominations, a George Foster Peabody Award, the Alfred I. duPont-Columbia Journalism Award, The Erik Barnouw OAH History Award, five American Film Festival Blue Ribbons, fourteen CINE Golden Eagles, screenings at Telluride, and first-place awards from the San Francisco, Chicago, National Educational, and New England Film Festivals. He has produced and directed twenty-five major documentaries for national broadcast and many short films for online distribution. Hott was the Fulbright Fellow in Film and Television in the United Kingdom in 1994. He received the Humanities Achievement Award from the Massachusetts Foundation for the Humanities in 1995; a Massachusetts Cultural Council/Boston Film and Video Foundation Fellowship in 2001; and the Rosalynn Carter Fellowship for Mental Health Journalism in 2001. Hott has been on the board of non-fiction writers at Smith College and has served as a panelist for the National Endowment for the Humanities, the Massachusetts Cultural Commission, and the Massachusetts Foundation for the Humanities. In 2009, 2010, and 2012 Hott presented his films in Ecuador, Colombia, Venezuela and Algeria as part of the American Documentary Showcase, a program of the US Department of State. In 2015 he was a Fulbright Specialist in Vietnam teaching documentary in Hanoi, Da Nang, and Ho Chi Minh City. He is a member of the Academy of Motion Picture Arts Sciences, the Directors Guild of America and the Producers Guild of America. Hott teaches regularly at the Maine Media Workshops and is on their board of directors. The application deadline is December 30, 2016 at 6:00pm EST. Class members will be announced Friday, January 6, 2017. The classes will be held from 6:30-9pm at NCTV Studios on January 30, February 20, March 13, April 3, April 24, and May 15 in 2018. Prospective applicants should go to www.northamptontv.org/masterclass to apply.